I can’t tell you how much I’m enjoying showcasing and introducing artists each month that I admire! This month’s featured art is the beautiful Coastal Custom Cabinet Panels by Artist Bonnie Morse. 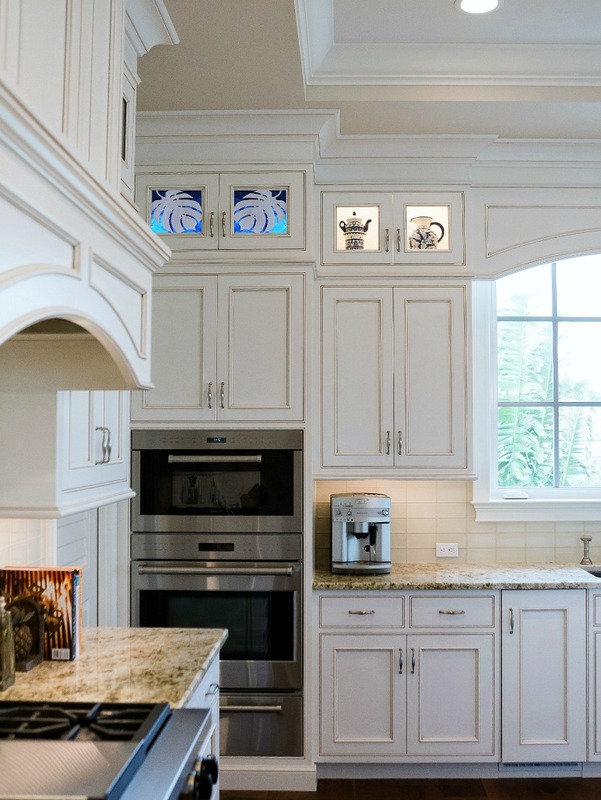 Bonnie is a glass mosaic designer and inventor from Florida and most recently, a kitchen cabinet panel designer. Bonnie combines cut stained glass and wood with interior lighting. The glass is illuminated and controlled from within the frame. She invented a patented pending process for this and the panels can be customized to any designer and homeowner’s desires. 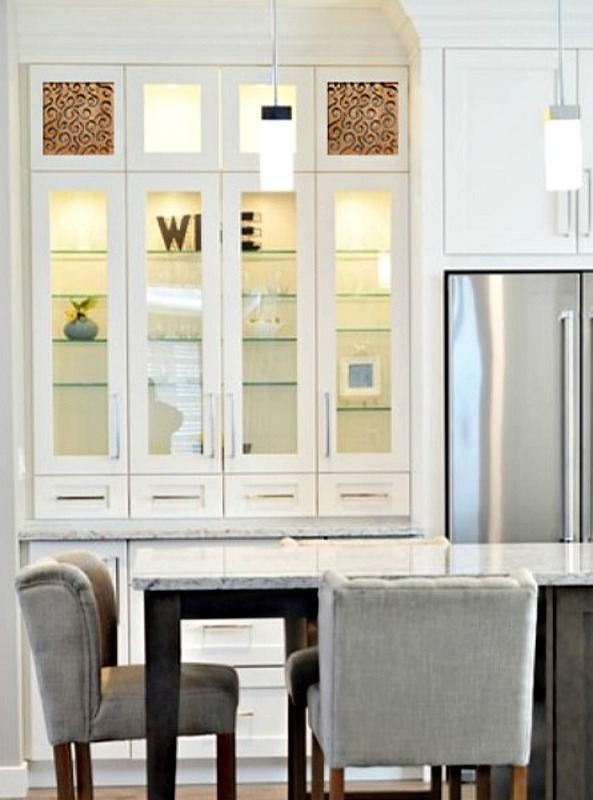 These custom-made cabinet panels can be easily integrated into any cabinet door that is “glass ready”. 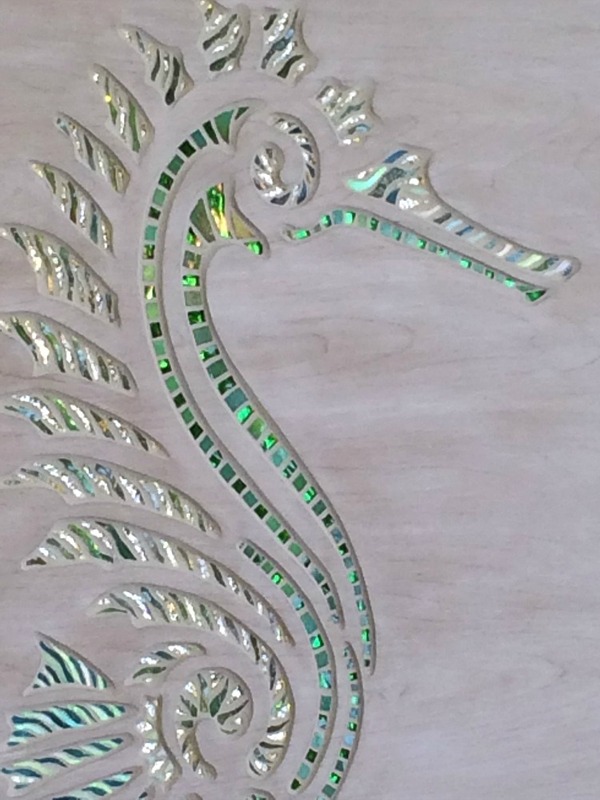 These coastal custom cabinet panels produce an extraordinary aesthetic balance and allow light to pass through or reflect off the inlaid glass. Back-lighting creates a lighting enhancement from inside the cabinet. The glass can also be mirrored so that the light reflects from the front of the design. This application compliments the color and complexity of any decor. 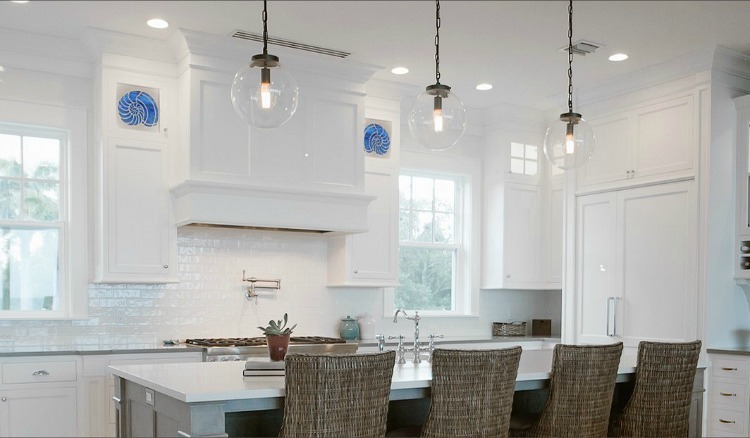 The design options for a coastal home are literally endless. An extra bonus is that the panels can be easily inserted and removed, so as style or tastes change, so can the panel. Bonnie hand selects the highest quality colored, iridescent and reflective glass for the panels. She works with each client to customize the look, asthetics and expression that the client wants to capture and convey for a truly one of a kind design. She can also create a reverse design. 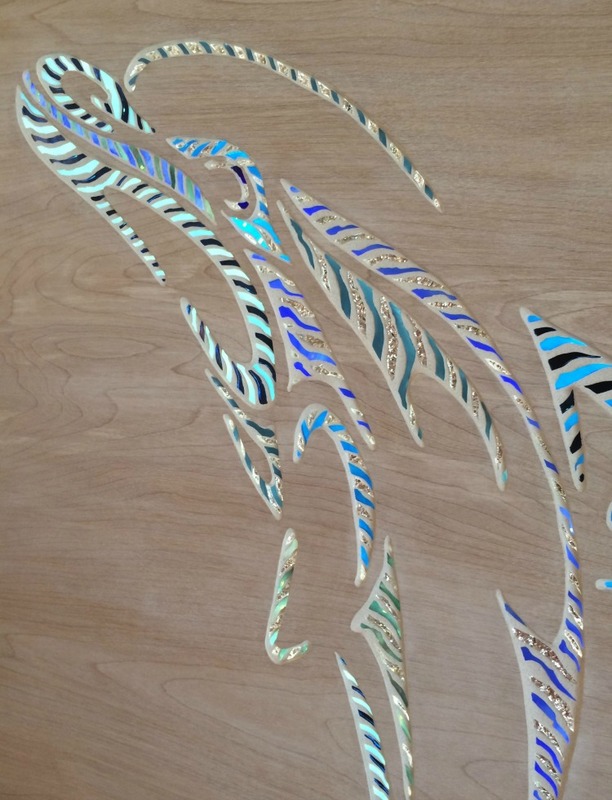 Look at these beautiful wood palm leaves inlaid in glass. 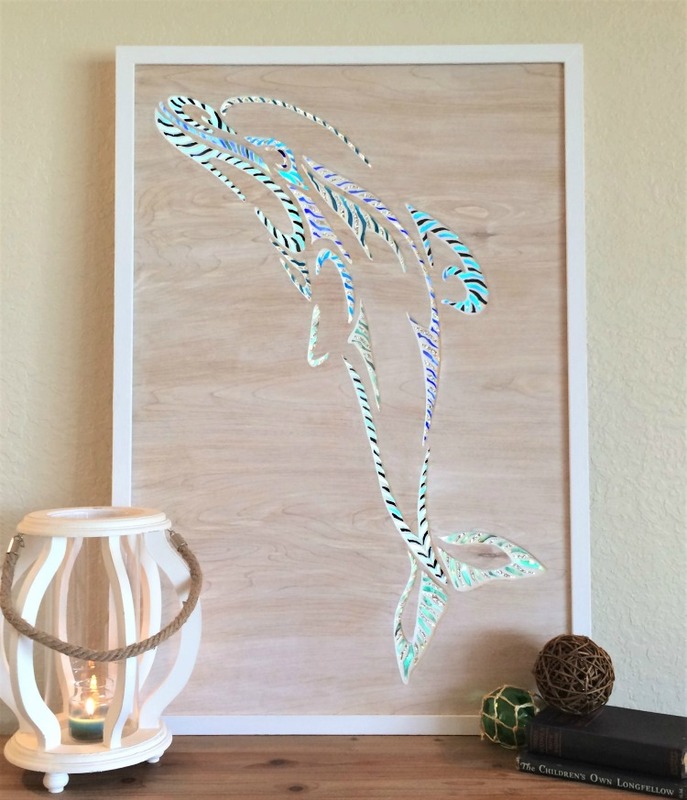 Bonnie’s art is not limited to just cabinet panels, she also creates intricate glass and wood mosaic framed artwork. Because Bonnie is an artist, she is fully ready to customize any panel to your desire. This wood and glass swirl design is an example if your tastes lean to the more modern or whimsical. Take a peek at the detail she puts into each piece. 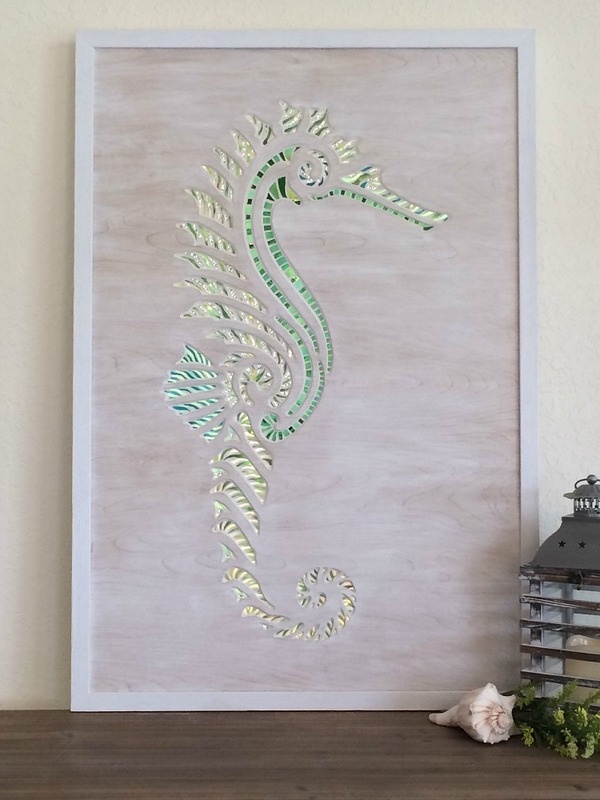 Discover how to get your own coastal custom cabinet panels by artist Bonnie Morse by visting her website and social media sites (listed below). I hope you check her out and follow along with her on IG! Photos used with courtesy and permission of Bonnie Morse and Campbell Cabinetry Designs Inc.
How fortunate you are to own some ofBonnies art, gorgeous and sospecial.Love one of a kind. Having lived in San Diego inland for 21yrs I love the water, spentas much time at the beaches with our 4 kids. I used totake half our neighborhood to beach when kids young. Will check out her website,maybeget to buy somethingfrom her one day. Ilove colored glass. Getting late amtired, so not typing as well. Have wonderful weekend. Enjoy your gorgeous glass art. Beautiful! Absolutely beautiful! Love it! Isn’t though? Glad you love it! Thanks for stopping by Lisa! Her work is so beautiful. I would love to one day have something like this in my kitchen. I’m not sure if my cabinets are glass ready though….. Thank you Kim for sharing my love of glass! 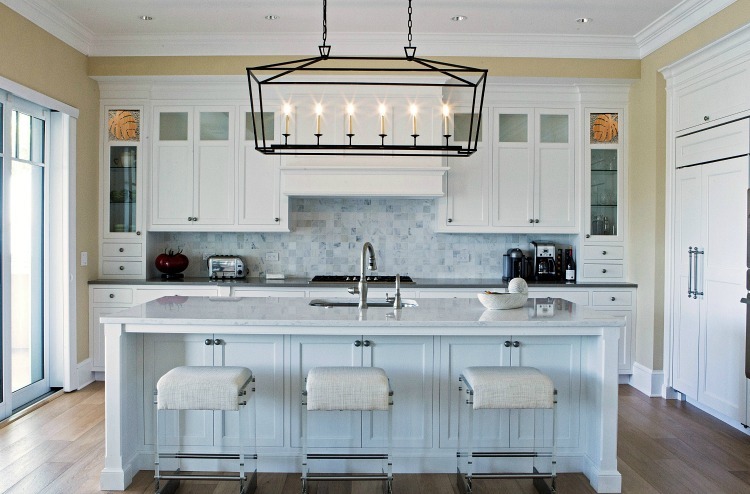 Your site is an amazing tribute to Coastal Style and Design! Thank you Bonnie for sharing your beautiful talent with us!